We very much enjoyed our skiing holiday in Willingen. The host was very friendly and the apartment clean and modern. The kitchen was fully equipped and the bathroom big and clean. The host offered "bread service" every morning so we could enjoy fresh bread for breakfast every day. Great place to stay! Everything was perfect for a stay near the airport: owners were flexible and really nice, bed was comfy, quiet surrounding, good shower and a very good breakfast! Ich kann für mich und meine Begleitung nur sagen, wir würden jederzeit diese Wohnung wieder buchen. Alles war sehr gut !Perfekt ist der Brötchenservice. Bei schlechtem Wetter kann man sich dorthin sehr gut zurückziehen. Schöner großer Fernseher. Es war alles perfekt. Es gab einen Brötchenservice - wunderbar- . Das Appartement sehr hochwertig und liebevoll eingerichtet. Sehr sauber. Tolle Lage. Sehr sehr nette Vermieter. Absolute Weiterempfehlung zu 100%. Kommen gerne wieder! 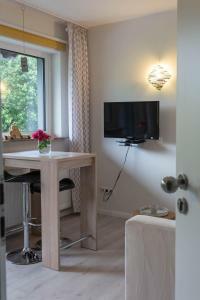 Mooi modern appartement, locatie t.o.v. wandelingen en centrum ideaal. Leuke en attente gastvrouw Jennifer. Locatie was top. Appartement was zeer modern en schoon. 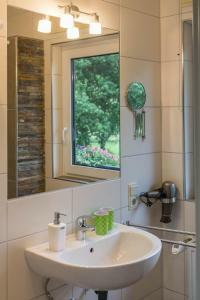 Badkamer als nieuw! Sehr freundlicher Empfang. Modernes und sauberes Erscheinungsbild. Reichliche und aktuelle Informationen für den Aufenthalt vorhanden. Freundlicher Empfang, der Jahreszeit/Wetterlage angepasste Deko am und im Haus(=strahlte Behaglichkeit aus). Ausreichende Anzahl Parkplätze. 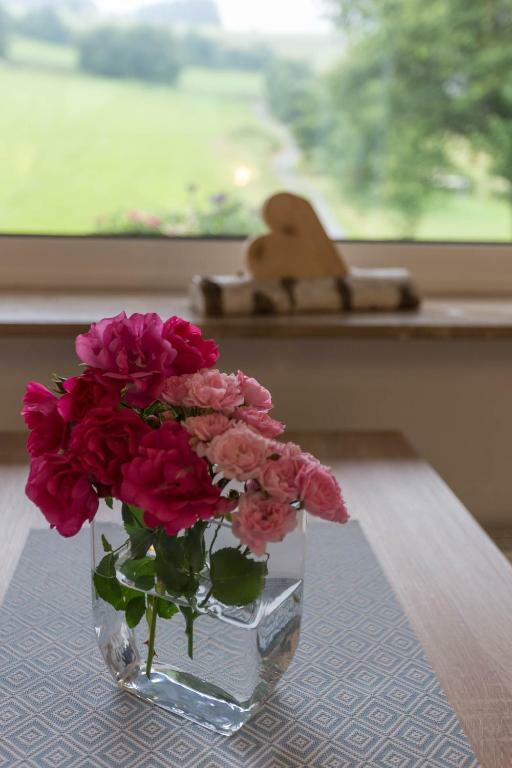 Lock in a great price for Landhaus Meran Ferienwohnungen – rated 9.4 by recent guests! 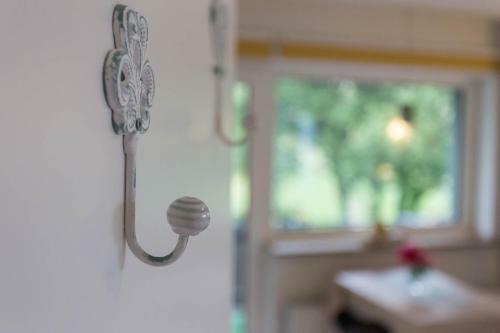 Landhaus Meran Ferienwohnungen This rating is a reflection of how the property compares to the industry standard when it comes to price, facilities and services available. It's based on a self-evaluation by the property. Use this rating to help choose your stay! 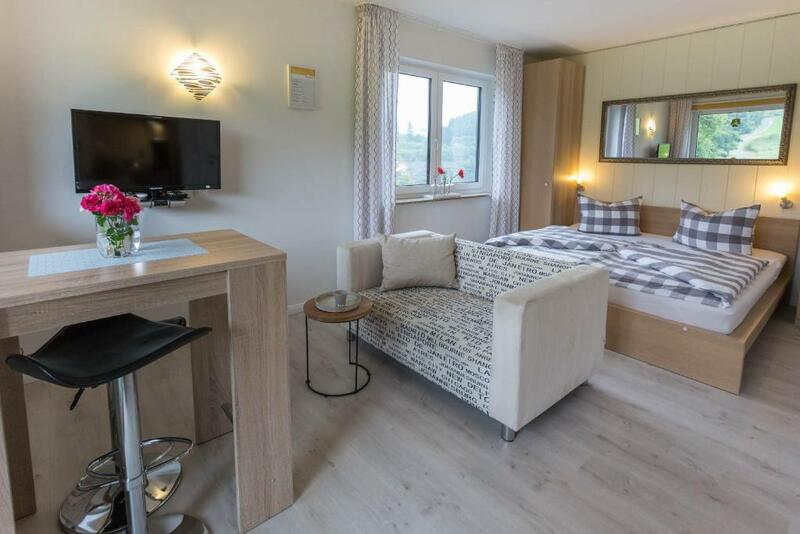 One of our top picks in Willingen.Panoramic mountain views and free Wi-Fi are offered at these apartments. 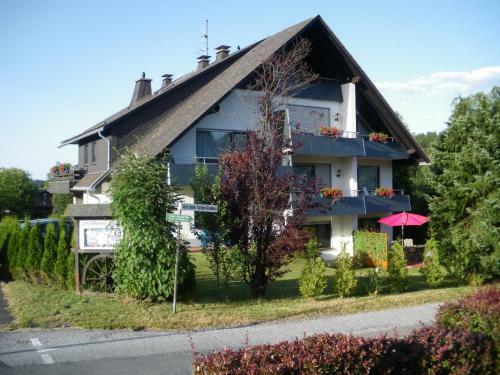 They are peacefully located in Willingen, a 5-minute walk from shops, bars and restaurants. The 3-star Landhaus Meran Ferienwohnungen offers holiday apartments between 25 – 197 ft² in size. 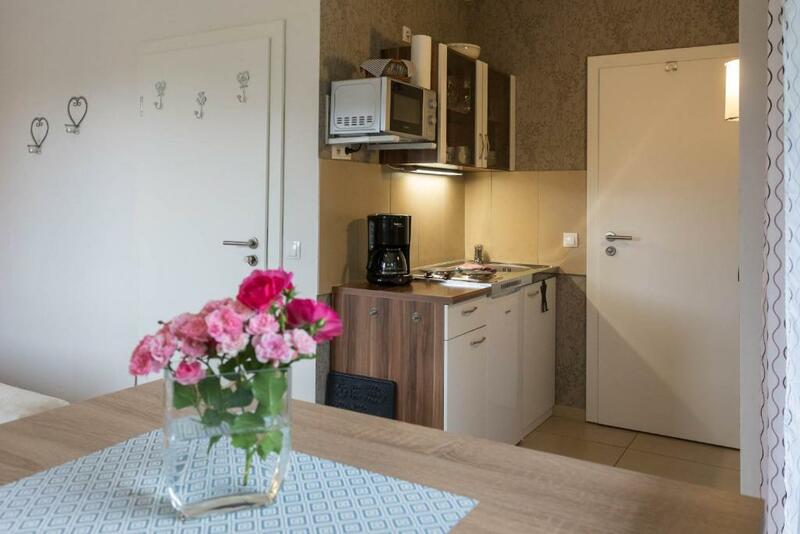 The apartments feature comfortable furniture, a fully equipped kitchen and 1 or 2 balconies. Ski and bike storage is also available for guests' use. Guests may request fresh rolls to be brought to the apartment every morning and prepare a hearty breakfast for a good start to a busy day. Hiking and cycle paths including the Uplandsteig Trail run right past the building and lead over fields and through forests. The nearest ski elevator is 2,950 feet away. Guests can also relax in Landhaus Meran’s cozy lounge area, and books and board games are available on request. Parking spaces are provided free of charge at Landhaus Meran Ferienwohnungen and limited storage space for bikes and motorcycles as well. This is our guests' favorite part of Willingen, according to independent reviews. 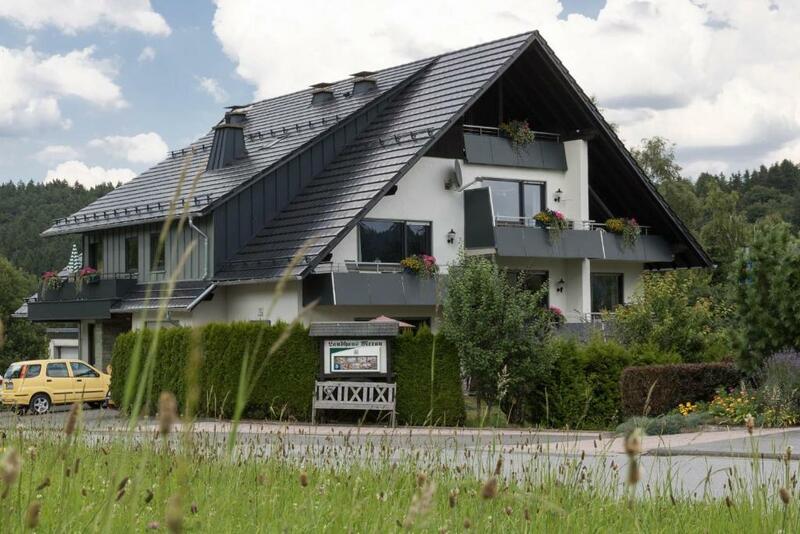 This property also has one of the top-rated locations in Willingen! Guests are happier about it compared to other properties in the area. This property is also rated for the best value in Willingen! Guests are getting more for their money when compared to other properties in this city. 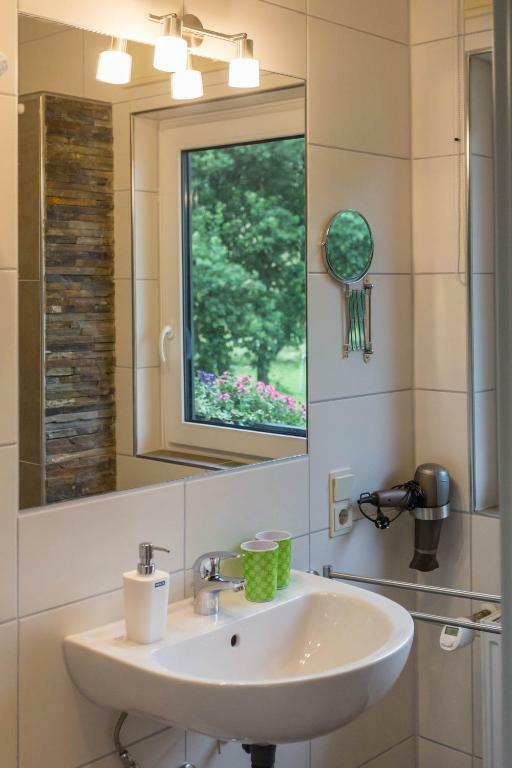 뀐 Located in the top-rated area in Willingen, this property has an excellent location score of 9.4! When would you like to stay at Landhaus Meran Ferienwohnungen? Cheerfully decorated apartment with home-like interiors offers a fully equipped kitchen and a south-facing balcony with mountain views. Children up to three years stay free of charge. Cheerfully decorated apartment with home-like interiors offers a fully equipped kitchen and a balcony with mountain views. The room has an additional couch for the bedding of the third person. Children up to three years stay free of charge. 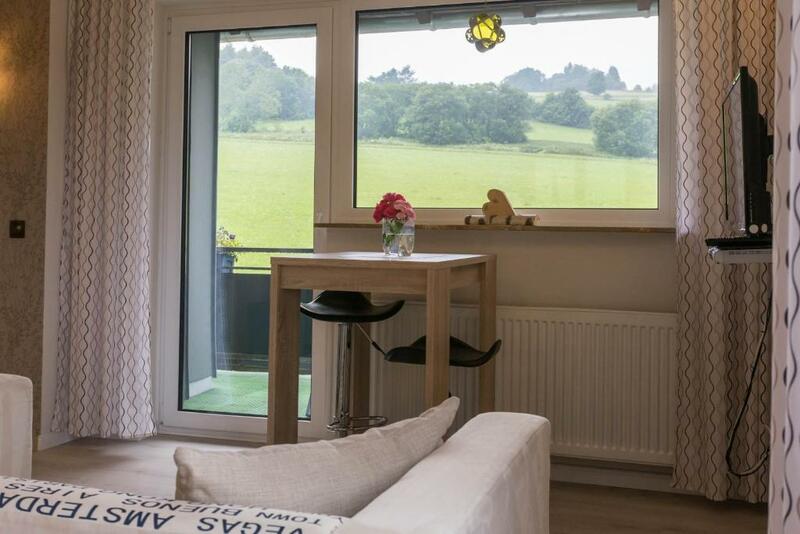 Cheerfully decorated apartment with home-like interiors offers a fully equipped kitchenette and a south-facing balcony with mountain views. Cheerfully decorated apartment with home-like interiors offers a small, fully equipped kitchenette and a balcony with panoramic views. Please note no extra bed can be ordered for this apartment. Wir legen Wert auf eine idividuelle und persönliche Einrichtung unserer Wohnungen. Jede unserer Ferienwohnungen besticht durch einen speziellen Charme und soll unseren Gästen ein Gefühl von zu Hause bieten. Unser Haus befindet sich in einer Toplage. 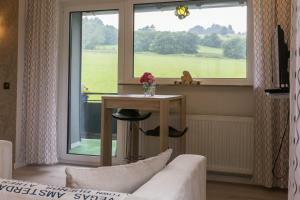 Sie wohnen zum einen idyllisch, ruhig und naturnah, was besonders für sportlich Aktive wie Radfahrer, Wanderer oder Läufer ein absoluter Pluspunkt ist. Aber Sie erreichen das Zentrum Willingens mit Bars, Restaurants, Geschäften ebenfalls innerhalb weniger Gehminuten, so dass auch Genießer und Nachtschwärmer voll auf Ihre Kosten kommen. House Rules Landhaus Meran Ferienwohnungen takes special requests – add in the next step! Please note that all prices include the first set of bed linen and towels as well as final cleaning and electricity. Please indicate your estimated time of arrival at least 24 hours in advance to organize key collection. Please note that payment is due in cash upon arrival. Please note that the only pets allowed are dogs, and these are on request only. WiFi could have been better! !